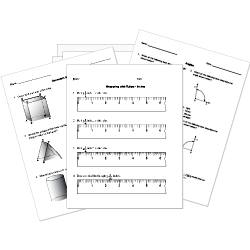 Check out our pre-made Math worksheets! You can create printable tests and worksheets from these Calculus questions! Select one or more questions using the checkboxes above each question. Then click the add selected questions to a test button before moving to another page. Find [math]f'(1)[/math] when [math]f(x) = (x-7)/(x+2)[/math]. What is the slope of the tangent line of the function [math]f(x) = 2x^3 - 4x^2 - 3x[/math] at [math]x = 2[/math]? What is the second derivative of [math]f(x)=3x^3+2x^2[/math]? Find [math]f'(1)[/math] when [math]f(x) = (x^3 + 1)^4/24[/math]. Is [math]h(x)=(x-4)/(x^2-5x+4)[/math] continuous or discontinuous at x = 3? Justify using continuity test. If discontinuous, what type? Find the average rate of change of [math]f(x)=-4x^2+3x-4[/math] on the interval [math][-1, 3][/math]. On what intervals is the function [math]f(x)=3x^3+2x^2[/math] increasing or decreasing? What is the derivative of [math]f(x)=3x^3+2x^2[/math]? Describe the end behavior of [math]f(x)=2^x-3[/math]. [math](-0.65,1.4)[/math] is a relative and absolute maximum. [math](0.65,-1.4)[/math] is a relative and absolute minimum. [math](-0.65,1.4)[/math] is a relative maximum. [math](0.65,-1.4)[/math] is a relative minimum. Identify the intervals on which the given function is increasing and decreasing.